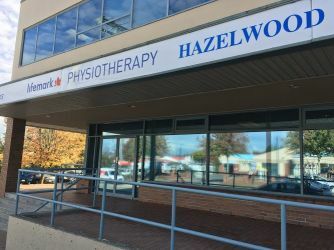 Hazelwood Physiotherapy is now Lifemark Hazelwood Physiotherapy. You can expect the same quality rehab services and compassionate care from our team. 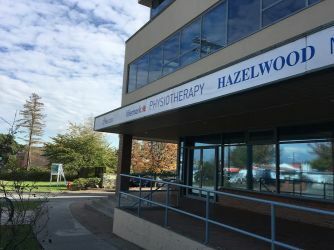 Lifemark Hazelwood Physiotherapy has been providing service in the Surrey neighborhood of Fleetwood since 1993. Our staff are dedicated to providing innovative and customized physiotherapy services. Our team of highly trained therapists are passionate about helping clients recover from pain and injuries quickly and safely, so they can return to the life they enjoy. They will develop a tailored treatment plan to help you get well and stay well. Through in-clinic exercises and home exercise programs, combined with manual therapy, our goal is to promote an early return to activity and function. 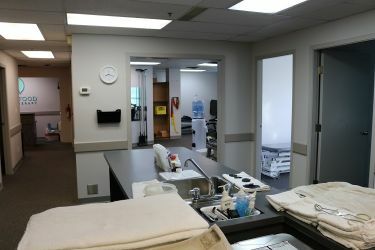 Whether you were injured at work, playing a sport or in a car accident, our one-on-one results oriented treatments will be designed to help you with your specific needs. 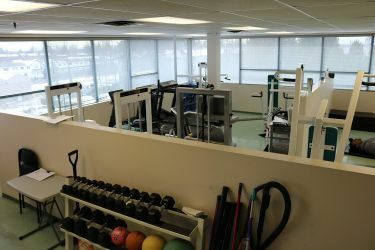 We offer a bright, spacious and comfortable setting for our physiotherapy and rehab clients. 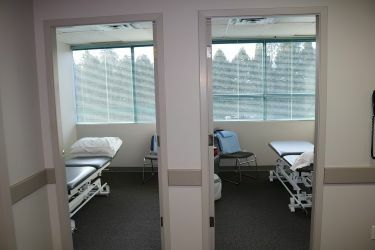 We have seven private treatment rooms for physio and acupuncture, and our third-floor facility has a large exercise area for kinesiology and work conditioning programs. 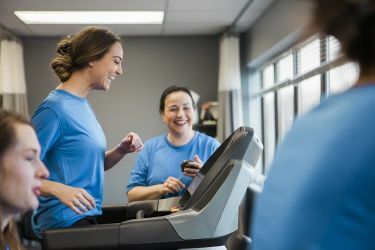 In addition to our core physiotherapy and rehab services, our therapists treat vestibular conditions: dizziness, positional vertigo, post-concussion, traumatic brain injury, vestibular neuritis or labrynthitis and balance problems. 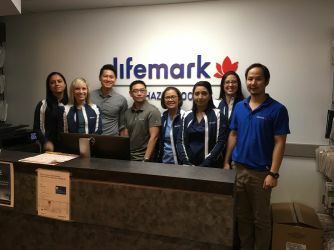 At Lifemark Hazelwood Physiotherapy, acupuncture and IMS (Intramuscular Stimulation) treatments, if appropriate, are included as part of your physiotherapy sessions at no extra cost. Shockwave therapy is available for a nominal fee. *Please note, as of April 1, 2019, treatments are pre-approved for Motor vehicle accident clients.